October 7, 2018 by Emily Brees 2 Comments - This post may contain affiliate links. 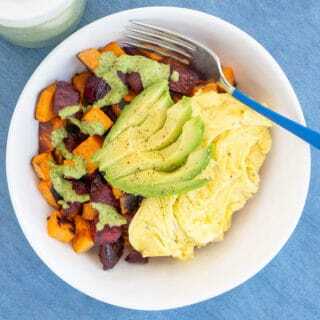 A veggie packed Sweet Potato Hash Bowl that can be breakfast, lunch or dinner. This recipe was created from my favorite breakfast at Tourist Home in Flagstaff. Roasted sweet potatoes, beets and avocado are tossed with a Cilantro Pesto made with lime and pistachios. 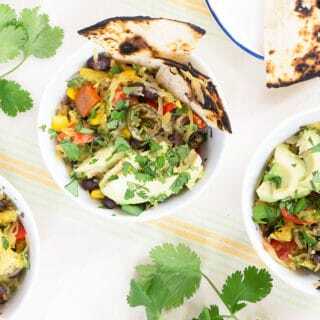 Served with scrambled eggs or chickpeas for the ultimate healthy bowl of delicious! Every place I have lived, I discover an amazing breakfast hash bowl. 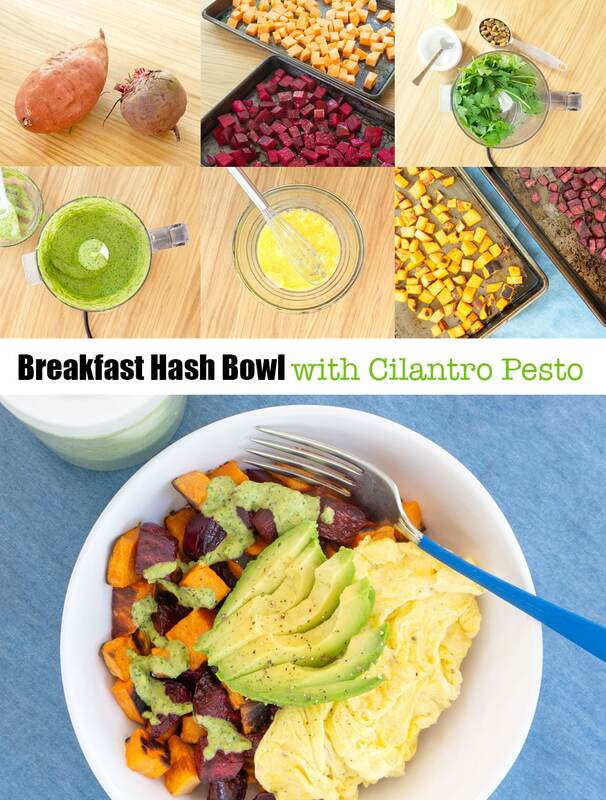 A hash bowl so delicious that it gets me out of bed early on the weekends for breakfast! When I lived in PA, it was this Quinoa Breakfast Hash. Now living in Flagstaff, I consistently order the hash bowl at Tourist Home and one of their delicious pastries too, of course! 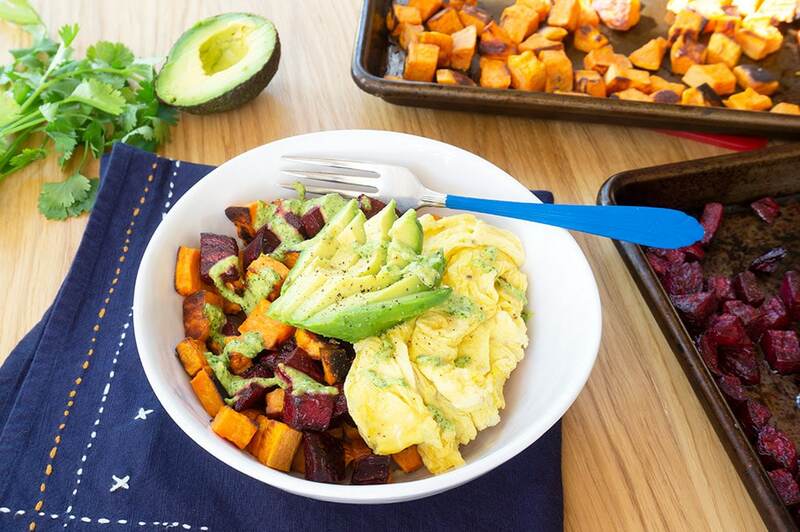 Making this Sweet Potato Hash Bowl at home is super easy. 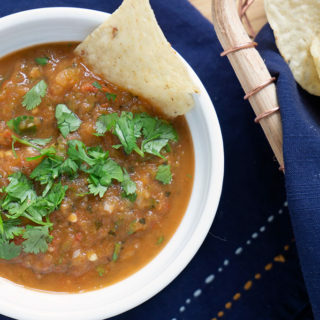 It’s a favorite for breakfast, lunch or dinner. 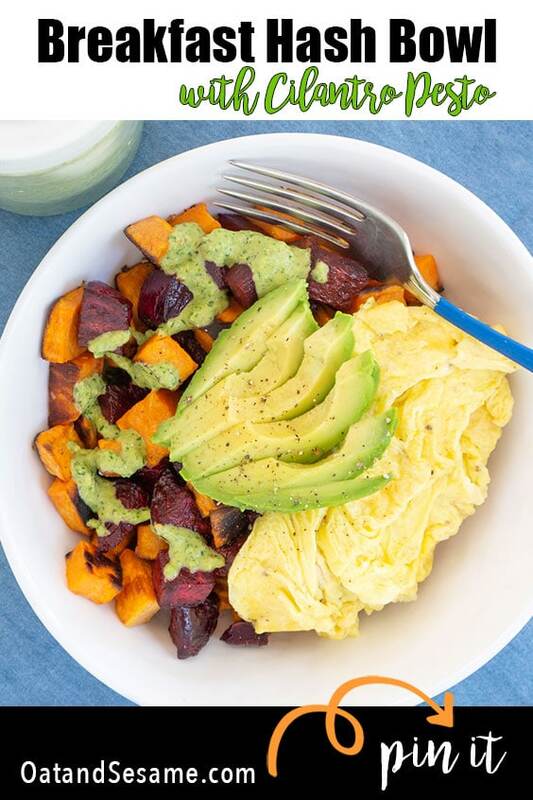 The caramelized flavors of roasted sweet potatoes, beets and creamy avocado topped with eggs and a cilantro sauce that highlights all the flavors in this dish. Plus it’s easily converted to a vegan meal if you use chickpeas instead of scrambled eggs. The cilantro pesto is a blend of pistachios, lime, and cilantro which creates a smooth, tangy sauce for the veggies. Lime juice always pairs well with beets. I use it in this Coconut Lime Dressing for another one of my favorite beet and chickpea salads. The cilantro pesto keeps for at least a week in the fridge and can be tossed with almost any vegetable. This healthy bowl is sweet, earthy, citrus-y and just plain hard to stop eating! Each in separate bowls, toss diced beets, sweet potatoes and chickpeas (if using) with 1 Tbsp olive oil and a couple generous pinches of kosher salt. Roast beets and sweet potatoes separately on rimmed baking sheets until edges are browning. Veggies should take 20 - 30 minutes. If using chickpeas, do the same process except they'll take about 15 minutes. While the vegetables are roasting, cook eggs to your preference to top the hash bowls. After the veggies are roasted, distribute them between four bowls. Top with an egg, sliced avocado and drizzled with Cilantro Pesto sauce. Pulse cilantro and pistachios in a high speed blender or Cuisinart until chopped into small bits. 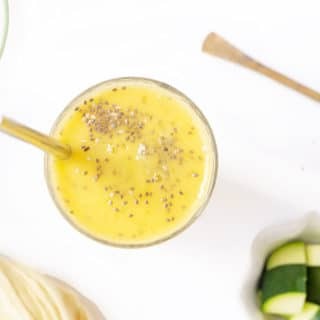 Add in remaining ingredients EXCEPT water and blend until a smooth sauce is formed. Add 1 Tbs of water at a time if the sauce is too thick. Absolutely had to make this delicious dish! Went for the eggs on top, added some sautéed kale and ate this for breakfast and lunch!